Veteran forward Chris Porter may see a familiar face or two after signing a one-year, two-way contract with the Philadelphia Flyers. Should the 31-year-old spend his time in the NHL, he’ll be reunited with new Flyers coach Dave Hakstol. The pair was linked for three seasons (2004-07) at the University of North Dakota while Porter also played with current Philadelphia center Chris VandeVelde in 2006-07. 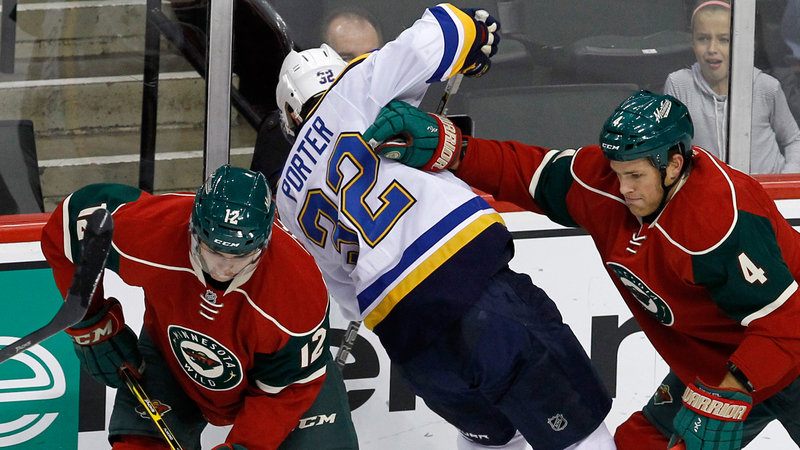 Porter collected one goal and one assist in 24 games last season with the St. Louis Blues. The 6-foot-1, 206-pound Toronto native has recorded 11 goals and 16 assists in parts of six campaigns with the Blues.